Understand the benefits of your Greater Irvine Chamber membership better by attending this New Member Orientation, followed by unlimited networking at the Evening Business Exchange. 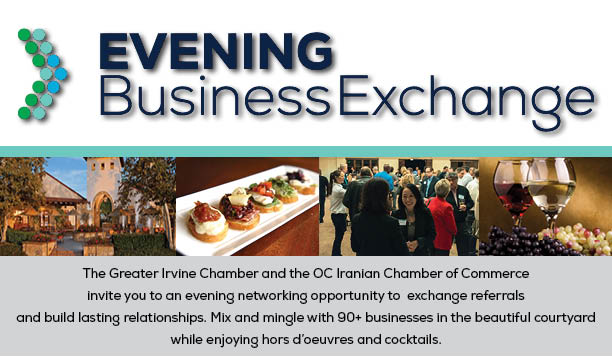 This combined reception and mixer will give you an opportunity to meet fellow members of the Greater Irvine Chamber as well as your Chamber staff liaisons. Attendees will have an opportunity ask questions about their membership benefits as well as network with other members.